Atmos integrates with Microsoft Skype for Business, Asterisk and a multitude of telephony systems, says CallCabinet's Matthew Balcomb. CallCabinet and virtual PBX platform wholesaler Contineo Virtual Communications have partnered to offer the local channel a compliant call recording solution for the enterprise market. According to CallCabinet, Atmos is a cloud-based compliant and quality management interaction recorder that offers a software-as-a-service business model. The solution ensures phone calls and other interactions are recorded and encrypted in a secure and compliant environment. Access to recordings is via the Atmos HTML5 portal that can be accessed from any device and from anywhere where there is an Internet connection, adds the call recording solutions company. Contineo specialises in offering services in the cloud in a managed environment. The partnership aims to deliver Atmos to Contineo partners and clients throughout SA. Laurent Pieton, director at Contineo, says the high-level solution providers that form Contineo's channel now have access to a compliant call recording solution that can be deployed in minutes. "We had been hearing a lot about CallCabinet in the market, and had been looking for an alternative to the call recording product we'd been offering to the channel. CallCabinet addressed our requirements of local support, flexible and scalable capacity management and legal compliance. We are a strong BroadSoft house, and CallCabinet has integrated Atmos into Broadsoft specifically for us, so it is a ready-made solution," Pieton says. Implementation of the solution takes minutes via the cloud, he continues. "It is simply a tickbox we enable on our side, and because the pre-integration is done, the recordings immediately go off to CallCabinet's servers where they are securely stored and legally compliant." 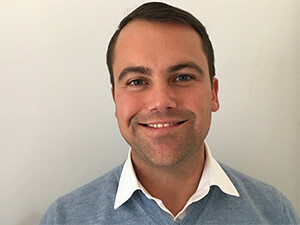 Matthew Balcomb, CEO of CallCabinet SA, says: "Atmos provides clients with a compliant call recording solution based on a pay-as-you-grow business model. With Atmos, customers can easily store, retrieve and search for call recordings through its flexible HTML5 Web-based portal, all of which are essential features for customers relying on compliant call recordings to monitor productivity, perform dispute resolution as well as elevate customer service." Atmos, he explains, integrates with Microsoft Skype for Business, Asterisk, BroadSoft and a multitude of telephony systems and devices available in the market today. "The solution is targeted at any organisation that needs to record calls. This includes financial services providers, call centres, motor dealerships, security, health, collection agencies, and firms," concludes Balcomb.